I remember spending hour after hour playing Boulder Dash on my Atari 800XL back in the mid 80s. A lot of the Android games today owe a lot to these classics, and many of the most popular games on the system are the simplest to play and hark back to the 8-bit era. Personally, I find many of the big games (such as on the PS4) are just too complex these days and concentrate far too much on the graphics. Although, to some degree the Nintendo Wii and Switch have kind of reinvented the gaming industry, thank goodness. Of course, there are many who enjoy the overblown modern games, but I really do prefer my games to be like this one. 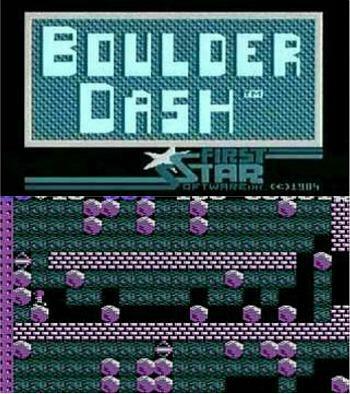 Boulder Dash was loosely based on the game Dig Dug and was originally released in 1984 on the early 8-bit home computers for the Atari 400/800, Apple II, MSX, ZX Spectrum and Commodore 64. It was later ported to other 8 bit and 16 bit systems such as the BBC Micro, Amstrad CPC, Atari XL/XE, Atari ST and Commodore Amiga. The game's main character was called Rockford. Basically, you had to help him dig his way underground collecting shiny gems, reaching the exit within a time limit. There were a few nasty creatures to contend with, but the tricky part was ensuring you didn't get crushed by a boulder by digging in the wrong place. Great memories and just so damn addictive! Virtually all of the leading magazines gave favourable reviews and high ratings for the game. Zzap! 64 gave 97% and Home Computing Weekly awarded 5 out of 5. There were exceptions, with Sinclair User giving a rather modest 5/10. However, Your Sinclair magazine listed Boulderdash at No.9 in their "Official Top 100 Games of All Time" list. 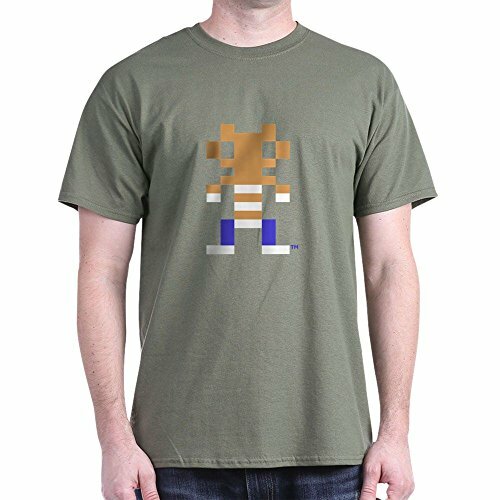 Although brightly-coloured, the Amstrad just didn't have the graphics capabilities of either the C64 or Atari XL/XE range, and, therefore, doesn't look as good visually. Nonetheless, Boulderdash is all about the gameplay and this still plays pretty well on the machine, despite the juddery sideways scrolling. Actually, this isn't a proper walkthrough or review, but more like "off the cuff" commentary by a player who's never experienced the game before. He's playing the game on a 65XE and it's the same version that I used to play. The video is quite amusing to watch and I haven't heard those sound effects since the 80s. Looking back, they were pretty decent for an 8-bit computer.